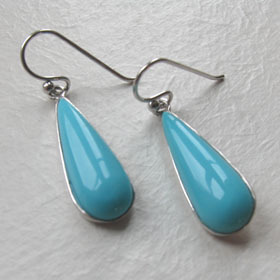 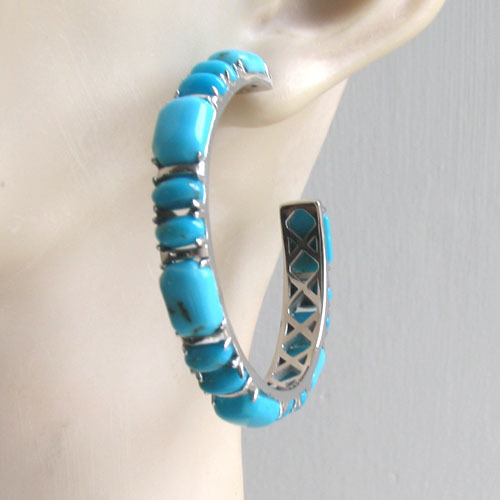 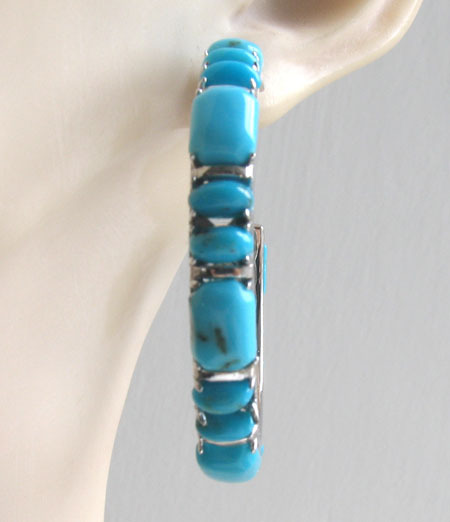 Large turquoise hoop earrings in sterling silver. 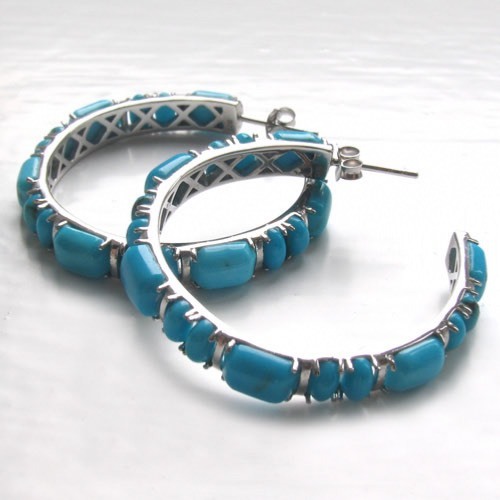 These superb hoop earrings are exquisitely hand made and feature top quality turquoise gemstones. 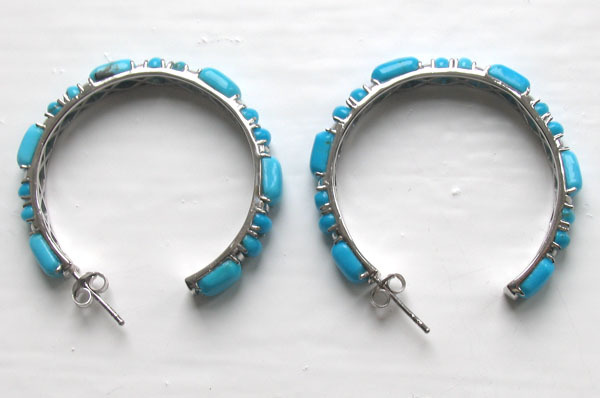 Each of the natural turquoise stones is claw set into the hoop design. 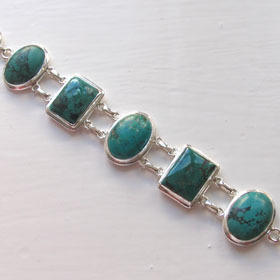 The stones are mostly plain and vividly coloured in shades of turquoise. 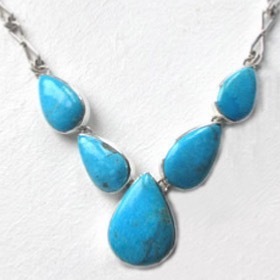 They were mined in Arizona. 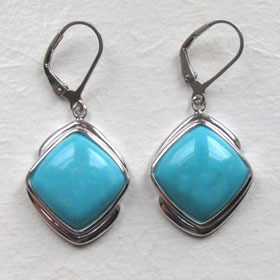 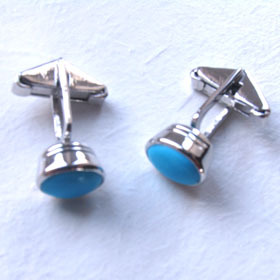 The earrings fasten with a post and butterfly fastener. 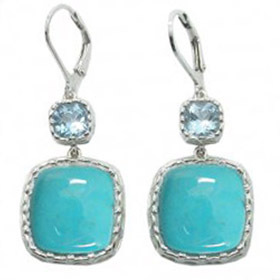 These are gorgeous earrings - treat yourself today! 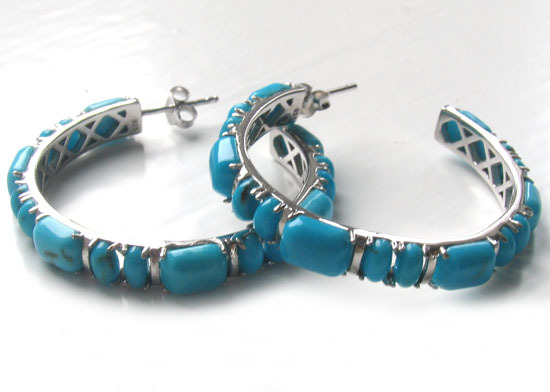 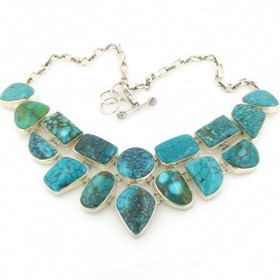 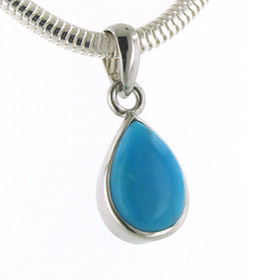 Explore all our turquoise jewellery and make up a turquoise set.